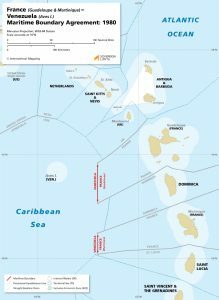 France and Venezuela established this two-segment maritime boundary through a bilateral agreement that was reached in 1980. 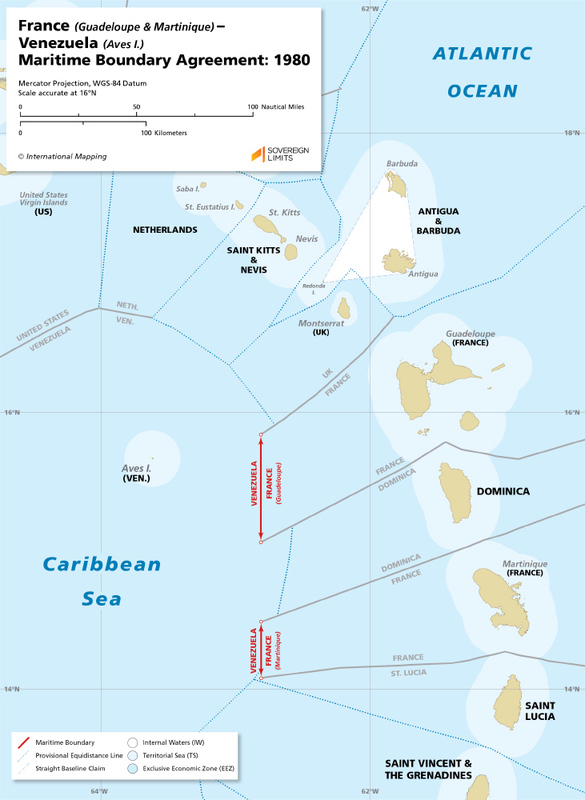 The northern portion of the boundary lies between Guadeloupe and Venezuela’s Aves Island, and the southern portion lies between Martinique and Aves Island. Both boundaries run along the 62° 48′ 50″ W meridian until the rights of third States are reached.